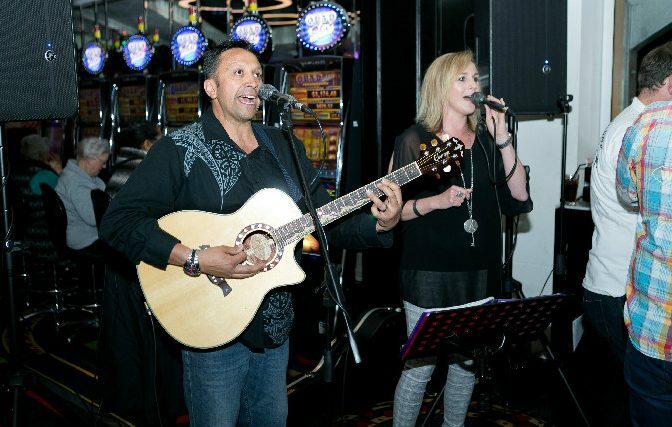 With over thirty years combined experience in the music industry, Reuben, Nicky make up the band Rockabella. Able to entertain a crowd, their friendly relaxed manner is a hit with a variety of age groups. Willing to listen and cater to specific needs; the band Rockabella represents great value for money. Available as a trio upon request. Reuben has been working as a musician for seventeen years, starting out in the wining 1990 Smokefree Rockquest band, he has been a familiar face in the Christchurch music scene. After completing two years at the Jazz School , Reubens continued love for music and high standard of musicianship has made him an invaluable member of every band he has been in. With a background in stage performance, which included contemporary dance, ballet and choreography, Nicky found another natural talent, in singing. Since then she has performed in a number of duos and bands, the most recent being Absolut. She has enormous vocal ability, a great rapport with any audience and is able to sing a variety of styles of music.